The FP piece, however, does a less good job. 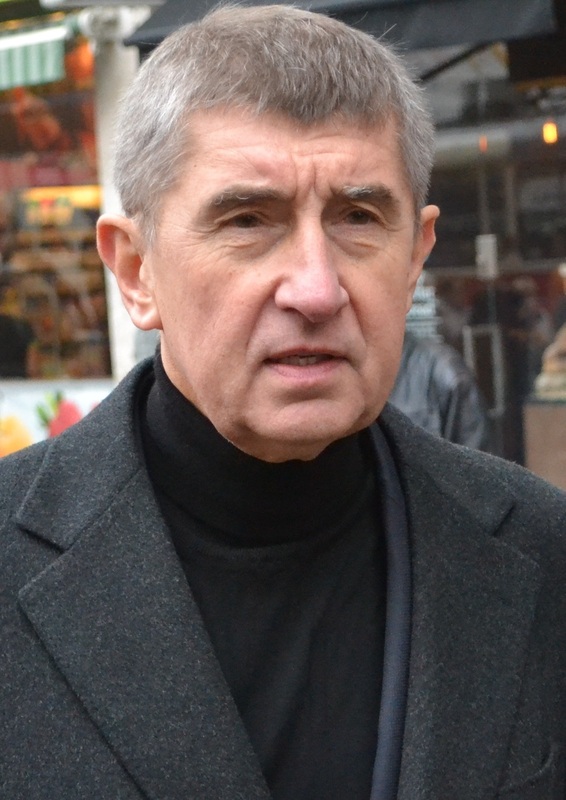 The piece is essentially inventory of allegations about Babiš which have appeared in the Czech media, some of which do not look well evidenced and have a certain scraping the bottom of the barrel quality: controversial ex-intelligence officer, ex-dissident and anti-communist activist Vladimír Hučín ‘was personally convinced’ that Babiš was a KGB informer on the basis of ‘certain indications’ he saw in Babiš’s communist-era secret police file, but there seems no harder evidence. [in 1950s] Babis’s diplomat father, Stefan … allegedly ran a Vienna-based black-market arms trade business under the protection of the StB [secret police], and [later] his brother, Alexander, voluntarily cooperated with the agency. are to forming a rounded assessment of Babiš the politician and businessman. Another source linked to is a report on Babiš’s ANO2011 movement commissioned by the Central Committee of the Communist Party of Bohemia and Moravia (KSČM). It’s an informative brief – certainly for what worries the Communists – but a slightly unusual choice in a piece sounding a warning about the creeping influence communist-era nomenklatura. Babiš’s view of the Czech Republic as having a nefunkční stát is possibly best translated as ‘ineffective’ or ‘poorly functioning’ state rather than the more alarmist ‘failed state’ (usually rendered in Czech as selhávající stát). But the real problems lie with what goes unaddressed. The scattergun critique dealing mainly Babiš as an individual and dwelling on his past career and links to the communist security apparatus leaves many of the real questions about the development of Czech democracy unasked. Firstly, what has gone wrong – or is going wrong with Czech democracy? And when did it go wrong? For FP and for many other analysts of CEE now prevalent – but perhaps too simple – explanation that it is ‘bad elites’ (or at least opportunistic ones) getting into power – unrestrained by the helping hand of the EU – blame for Eastern Europe’s democratic malaise. Sometimes (as in the FP piece) this is framed in anti-communist terms enduring immoral legacy of one-time nomenklatura insider, sometimes not. We may certainly wonder about the democratic values of those with careers in the nomenklatura and (especially) of those with a past career in the security police. But if they are not committed liberal democrats, does this make them committed authoritarians? Babiš has a certainly a shown distinct frustration with discussion and compromise inherent in coalition government; favours a majoritarian first-past-the-post form of democracy where one party has ‘100% responsibility’; and resisted the conventional practice of having junior minister from coalition partners in ‘his’ ministries, given short shrift to early demands for grassroots accountability in his nascent ANO movement; seemingly hired-and-fired ministers as if they were company subordinates; and has little time for the suggestion that he faces conflicts of interest. Despite the tagline, however, there is no very obvious ‘rollback of democratic institutions’ taking place in the Czech Republic, certainly in the sense of a Putin or Orbán project of illiberal constitutional change or administrative centralization. Nor even, if Babiš and ANO match their best ratings (around 35%) and handsomely top the poll in 2017 is it clear that he would votes, seats or the ministerial reach to push it through. Parties and voters have so far show considerable will to resist what appear to power grabs, mostly recently with president Zeman’s efforts to push through a presidential caretaker government in 2013, but also in the era of the Opposition Agreement pact when the two biggest parties tried to push through changes to the electoral system squeezing out smaller parties. The fusion of political and economic power, most visible in the person of Babiš himself also in the overlap of key personnel in Agrofert and the ANO party – and in the ministries it controls – and the apparently highly stage managed nature of supposedly a grassroots, non-ideological movement rings alarm bells. If the Czech Republic does become ‘Babišistan’ – as critics fear –then we are perhaps looking a new form of hollowed out democracy based on centralization informal power (more centralized forms of state capture); less plural more political controlled media; dominant, loosely structured ruling party and a party system based around a proliferation of non-ideological, business-backed low-no member ‘project parties’, probably presiding over super-demobilized citizenry disillusioned by the persistent hi-jack of reform agendas, and astro-turfed civil society. Perhaps think one part Berlusconi, one party Mečiar and one part US big money politics. But Babišistan is so far a country of the imagination – and a fairly distant one. The Czech Republic is relatively successful post-communist democracy. But it is not a fallen paragon of lost democratic virtue. Cueing up standard references to lost ideals of Havel and the movement 1989 is an unhelpful rhetorical sleight of hand. (And for the record Czechoslovakia was probably not home ‘ home to the former Eastern Bloc’s strongest dissident traditions’ (Poland wins easily here) but to important but socially very isolated subculture; and ‘what was envisaged by those who stood on Wenceslas Square in November 1989’ and on town squares elsewhere as the historian James Krapfl has ably demonstrated, on the whole (and especially in the provinces), confused heady set of aspirations, sometimes closer to ideas of reform and democratisation socialist structures than liberal (or neo-liberal) ideals. But does the rise of Babiš and ANO certainly mark ‘a turning point in Czech democracy’? In some way the answer is yes. The overt fusion of power – and concentration of power in the hands of one superwealthy individual and what is privately owned major governing party is a new departure – as well as the strength of their challenge to ‘standard’ parties (notionally based on traditional ideologies of left and right. But it is questionable they are the turning point when country’s post-communist history at which the former front runner’s democracy started to bad: for many Czech analysts the pivotal moment at which the country’s democracy started to go bad was the Opposition Agreement deal between the Civic and Social Democrats, which clientelism and corruption started to run riot..
We might equally point to 2009-10 when a toxic mix corruption and recession started to demolish the ‘standard’ party politics. The ANO formula – a business-backed party founded and controlled by a single individual an anti-establishment programme of anti-corruption and political reform with slick PR; the ability to pull in NGOs and genuine campaigners; and a good behind-the-scenes expertise in security and intelligence was successfully deployed in 2010 by Vít Bárta and the now defunct and quickly forgotten Public Affairs party, which came from nowhere to win 10% of the vote. And perhaps, in truth, there never was a turning point? Despite lustration laws behind-the-scenes role of cops, spooks and security men – with or without a StB background – has been a constant of Czech politics since 1989: Radmila Kleslová, chair of ANO’s Prague organisation, is notoriously, a former StB officer (for three years) and was for 20 years a member of the Czech Social Democrats, serving a member of its Central Committee, before she joined Babiš’s movement. And perhaps Babiš’s appointees, directly imported personnel company lacking the cover of careers in party politics, should simply reminds us many people with a nomenklatura or StB backgrounds made good in the business world, where lustration laws do not apply and the media spotlight weaker. It seems possible that rubbing shoulder with politicians and officials is not a new experience for many of them. And perhaps – heretical thought though it might be – there might even be some reasons for mild optimism (or perhaps pessoptimism) about the current state of Czech democracy. Czech parties and politicians since 1989 have always been Janus-faced delivering not just corruption and kickbacks (in spades), but have at the same time also managed deliver policy, reform, preside over economic and social development and join the EU. Babiš’s party/movement, for all its very obvious drawbacks, may be no exception to the rule: the current Social Democrat-ANO-Christian coalition has managed to pass the long awaited (and admittedly flawed) Law on the Civil Service and, noted evidenced by the monitoring of Rekonstukce státu NGO, is chugging away preparing legislation conflict of interest, party funding, a transparent registers of contracts signed by public bodies and nominations to state owned companies. Perhaps, as most likely with the civil service law, there will be sufficient loopholes that it will be a strong element of plus ça change, but as unintended consequences kick in, the Czech proverb nevstoupíš dvakrát do stejné řeky (‘No man steps twice in the same river’) might be nearer the mark. In the end – if we agree that Babiš is a Wrong ‘Un and we write off the Czech Republic’s constitutional and legal institutions as ineffective as FP tends to do (I wouldn’t) – the relentless focus on sinister oligarchs and crooked elites overlooks the fact that the country with multiple sources of power – a polyarchy to use US political scientist Robert Dahl’s classic term – including the voters (remember them?) and still functioning democratic mechanisms. Babiš’s political power evaporates if loses rather than wins the next election – or indeed, if other parties gang up against him – leaving him ‘only’ as a conventional magnate with the economic and media clout he already has. We, of course, take the view that (most) ordinary voters are unthinking dupes effortlessly swayed and manipulated by vague slogan and unfulfillable promises or wont to vent their frustrations with meaningless protest voting, inadvertently handing power to authoritarian baddies – certainly a lot of journalistic and academic commentary unconsciously and implicitly inclines to this view. But we would do better to allow that, angry, frustrated and anti-political, Czech voters like other electorates are as research by Andrew Roberts rational post-communist public which knows what they wants and doesn’t want, and discount what it sees as irrelevant. There can hardly be a voter in the country not aware of most the accusations surrounding Babiš. As the mercurial but ever acute philosopher Václav Bělohradský – a surprise speaker at the ANO congress, but a far from uncritical admirer– points out the arrival of Babiš and movement on the Czech political scene is part of a democracy of ‘strange and interesting configurations’ whose ultimate effects are unknown. ANO’s biggest importance at the moment – like that of similar business backed parties of anti-establishment reform springing up across Central and Eastern Europe – is not an oligarchical power grab (whatever the intentions and values of their founders) but as a driver of change, instigator of realignment, and a poser of big and awkward questions about the nature democracy and power, which – in the short term – makes politics more, not less open and fluid. For Bělohradský – a man of the left – it was also striking that ANO had helped the Social Democrats regain office for the first time in almost decade. It may, of course, be that majority of Czech voters opt to live in Babišistan. But in this case we have ‘voter problem’ not an ‘oligarch problem’. « Czech populist goes from Dawn to dusk: but do members matter?